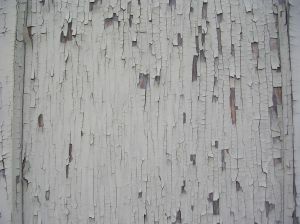 Lead paint poses significant hazards to young children, due to the lead pigment being sweet to the taste and the likeliness that old paint will flake or easily peel off walls. When young children eat lead paint chips, the increased lead levels in their systems can cause serious developmental disorders, including a permanent loss of IQ points, behavioral problems, learning disabilities, loss of cognitive abilities and other harmful conditions. According to a recent article in the Bay State Banner, a Massachusetts summit was hosted to address the dangers posed by lead paint in buildings across the Commonwealth. If a building was built prior to 1978, when lead paint was banned for use in the United States, there is good chance the building has lead-based paint. For any pre-1978 structures where young children or pregnant woman are expected to reside, the owner must inspect the unit for lead paint and either have the building de-leaded or provide a certificate that no lead was found during an inspection. It should be noted that Massachusetts fair housing law prohibits a landlord from not renting to a pregnant woman or young children to avoid having to inspect and de-lead the building. Despite the lead law and the fair housing law, families are routinely illegally denied housing in these units, and property owners are also ignoring the inspection and removal requirements. As the article points out, this problem is compounded due to over 90 percent of all Boston residences being built prior to 1978. Having young children and pregnant women live in a lead paint filled environment is not only illegal, it is also negligent and can be the basis for a personal injury lawsuit. If it can be shown during the discovery phase of a lawsuit that owners knew or should have known that lead-based paint was present, and they either lied about it or failed to conduct the required inspection, this can be used to show defendant engaged in behavior that showed a willful and wanton disregard for the safety of those living in the residence. This is important, because, in ordinary negligence cases, damages are limited to what are known as compensatory damages, including pain and suffering, lost wages, medical bills, the expense of care that will be needed in the future and special damages. However, if the breach of defendant’s duty of care was done in a willful and wanton manner, this may allow for punitive damages. Punitive damages are, as the name implies, designed to punish the offender and to send a message to this and other defendants that such a complete disregard for the safety of others will not be tolerated in our society. Additionally, in the Commonwealth of Massachusetts, the landlord tenant relationship is covered by the Massachusetts Consumer Protection Act, codified in Chapter 93A of the General Laws, which provides for double and triple damages in certain circumstances. If you are the victim of injury resulting from exposure to lead, call the Law Offices of Jeffrey S. Glassman for a free and confidential appointment: 1-888-367-2900.